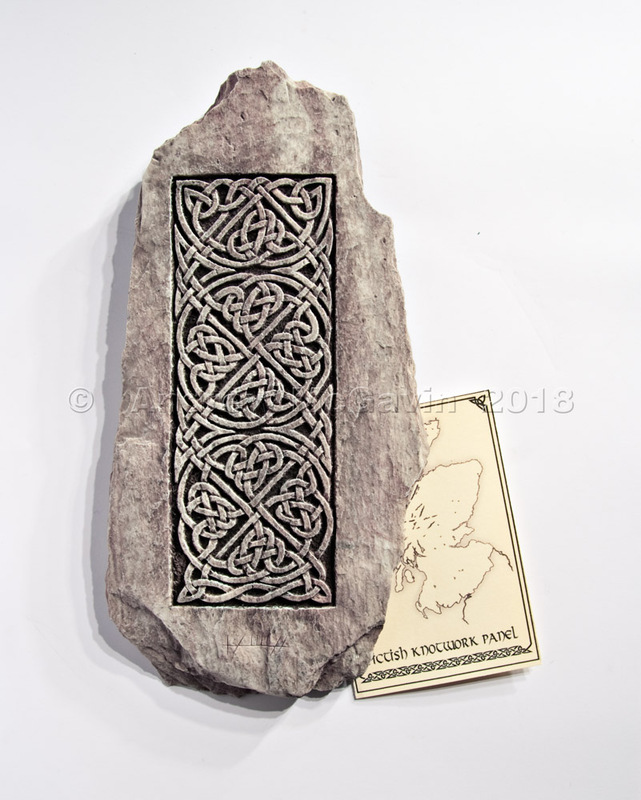 The Celtic Knotwork panel on this wall plaque is taken from a stone carved by the Picts during the Dark Ages. This mysterious people ruled the majority of Scotland for centuries, but despite this almost nothing remains from Pictish times except the magnficent and mysterious carved stones found throughout Scotland. Nowadays we are not even sure who these mysterious people were, they could have been Celtic invaders from mainland Europe, or they may have been the original inhabitants of Scotland who were influenced by the new Celtic culture. Celtic Art has been associated with Scotland since ancient times, but the origins of Celtic designs are now lost. There are many commonly held beliefs about Celtic Knots, many believe the interlaced structure of the Celtic Knot represents the interconnection of the world we live in, connecting past present and future. One of the many things that make Celtic design fascinating is the direct link it gives us to our distant past.